A retelling of the classic fairy tale for 21st century youngsters by a master storyteller. We are all familiar with Little Red Riding Hood, of course, but there is a lot more to her than a grandma and a wicked wolf. What about the archery contest or the pet raven? The story as we usually hear it today is a very much shortened version of the original. Fairy Stories have been told for hundreds and hundreds of years. No one really knows when they started or who first wrote them - or told them I expect. They probably started before many people could read or write. Anyway they have been told and retold and everyone who tells them alters them a little bit to suit themselves or to please the people listening. So Grandma Chatterbox when she was younger (which was a long time ago) went round and about and over the hills and far away searching for the oldest versions of Fairy Tales which she could find. So now Grandma Chatterbox is going to tell you Fairy Stories as close to the oldest versions that she can get. After all it is part of every child’s education to know all the traditional tales. 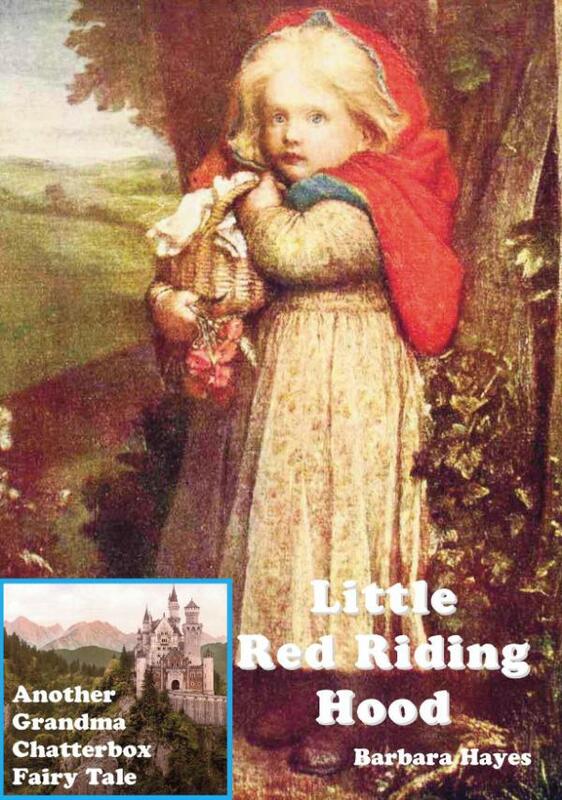 Little Red Riding Hood was originally a French folk tale, written down by Charles Perrault in 1697. Grandma Chatterbox just loves the old stories, and simply adores telling them to young children. The vocabularly and grammar in these stories is specially adapted to be suitable to younger children. When your children get a little bit older and start to learn to read you will find that the vocabulary contains words that they will be learning. Increase the type size on your tablet or other device and you can read along with your children. Barbara Hayes has been a best selling author of children’s books and comics for more than 40 years. She has been published around the world and in numerous languages. And yes - she really is a Grandma! © bretwaldabooks.com 2019. All Rights Reserved.